Home » Environment » Coral Reef Ed-ventures program begins! The first phase of the 18th Annual Coral Reef Ed-ventures summer program began on Monday, June 26th, and volunteers are still encouraging parents to register their children. 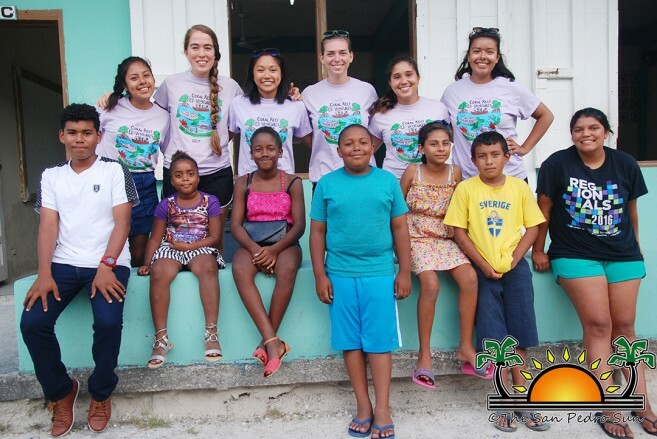 The free, educational camp focuses on marine ecology, and is a collaboration between students from Smith College in Massachusetts, USA, and the Hol Chan Marine Reserve. The first segment of the program, which is geared for students ages 12 and up, will culminate on Friday, June 30th. The campers meet on weekdays at the San Pedro High School, from 4PM to 6PM. The next youth camp is for students aged seven to 12, and will run from Monday, July 3rd through Thursday, July 13th. Coral Reef Ed-ventures will be hosting their second movie night on Wednesday, July 5th, featuring “Moana”, and popcorn and drinks will be provided at the free event. On Thursday, July 13th, a graduation ceremony will culminate the program at the Lion’s Den, starting at 7PM. Family and friends are more than welcome to attend this memorable event. Parents wanting to enroll their child/children to the program can pick up registration forms at the San Pedro Town Library on Barrier Reef, or at the Hol Chan Marine Reserve Office on Caribeña Street.